Featuring mouth watering dishes such as bibimbap, bulgoki, ramyun and other Korean delicacies, the wide selection of Korean dishes will definitely make you crave for more! So dine in at KimchiHaru, satisfy your heart and soul, and get a taste all the way from the land of K-Pop. 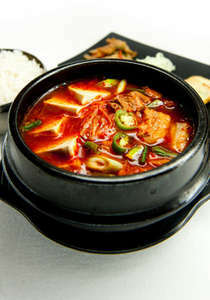 Visit RM20 Cash Voucher for Korean Cuisine @ KimchiHaru deal now!